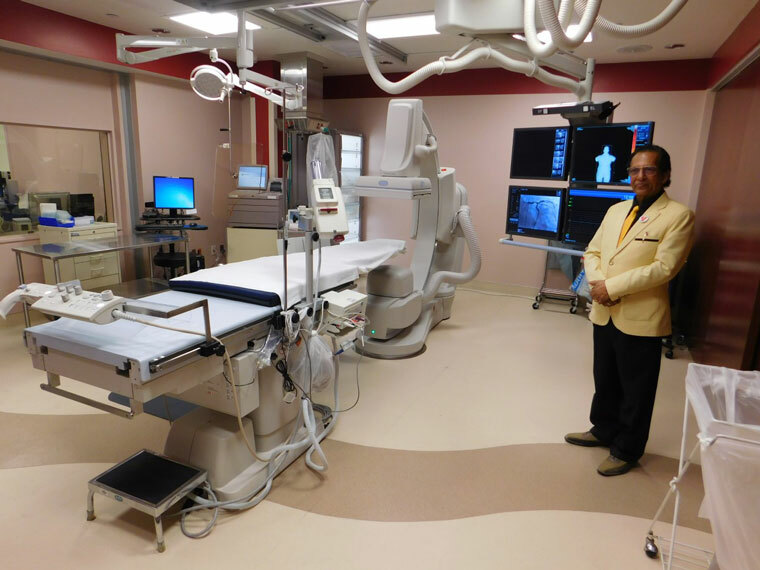 On Wednesday, April 5, the Hemet Valley Medical Center dedicated its new cardiac catheterization lab. The cath lab is a room to examine how well your heart is functioning. With the new equipment, the hospital’s doctors will be able to perform angioplasty, balloon septostomy electrophysiology studies and several other heart procedures. “By the end of 2017, we will have a cardiac vascular operating room operating,” said Dan McLaughlin, the hospital chief executive officer. Procedures such as implanting a pacemaker or stenotic heart valves can now be done at the HVMC. Once the operation room is available, open heart surgeries can be done at the hospital, according to McLaughlin. The cath lab cost $8.6 million and has been open for several weeks. Once the cardiac-vascular operation room is available, McLaughlin anticipates that HVMC will become a STEMI clinic capable of receiving serious heart attack victims. Read more about the article from Idyllwild Town Crier click on the button below.